AI in Education Market-Insights, Size, Share, Trends, Growth Drivers, Challenges, Opportunities, Key-players & Scope Analysis By Technology, By AI Educational Models, By Services & By Region (North America, Europe, Middle East and Africa, Latin America, Asia Pacific, Rest of the World) with the competitive outlook for Forecast Period 2016-2024. In the era of digitalization and rapidly changing technology, artificial intelligence (AI) is one the fastest evolving technology across the globe. 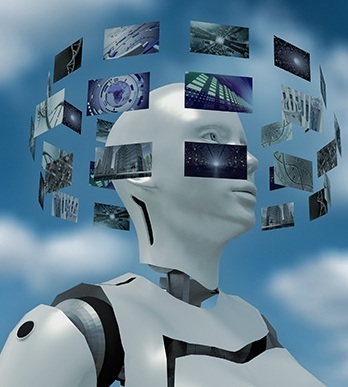 Artificial intelligence deals with the study and development of intelligence of machines and software. Further this technology has vast applications in various sectors like education, healthcare and manufacturing. Artificial intelligence has potential to lift various industries by reducing the human effort and increasing productivity. In education sector application of artificial intelligence has been the subject of research for 30 years. Artificial intelligence in education sector is applied in every field where learning occurs, in traditional educational institutes or in workplaces in order to support learning and formal education. Artificial intelligence helps to promote the development of learning environments and other artificial intelligence tools that effective, engaging and personalized. Recent growth in numbers of universities and post graduate programs globally will provide boost in the growth of the market. Additionally, government initiatives to improve the quality of education and increased expenditures to modernize the education sector by deployment of various education programs and education software such as ERP (enterprise resource planning), LMS (learning management system) will help North America to dominate the market in coming years. Another trend that can be seen in educational sector is artificial intelligence based educational games. Educational games help teachers to deliver their teachings in an interactive and engaging manner. Such methods create curiosity within the learners and helps in better development of mind. These games are embedded with adaptive learning features so that students can be guided in real time and timely suggestions for better learning experience. Moreover, rising number of startups and huge investments in AI by large market players like Intel, Microsoft, Google naming few, will help the artificial market to grow significantly in nearby future. Digitization is creating its place in every sector including education sector and the emergence of Artificial intelligence is basically up surging with the penetration of digitization in every sector. Developing countries are adopting smart and advanced technologies to increase the efficiency and productivity of business. The shift of educational sector towards smart technology products and services to modernize conventional education methods has opened broad growth avenues for artificial intelligence market globally. Growing number of universities, educational institutions and trend of online education platforms provides smooth pavement for the growth of AI market in education sector. Introduction of advance teaching systems like ITS (intelligent tutoring systems) and its active adoption in educational sector is one of the primary factor driving the growth of market. The ITS system is designed to provide critical ideas, interpret human responses and personalized learning for each student. Favorable government policies to modernize the educational system and increased expenditures will provide growth to AI in education market. For instance, Saudi-Arabia has announced the budget of USD 51.1 billion for the development of educational sector in the region and additional USD 6.4 billion to support reforms in education. However, data security remains the major challenge for the market players as both accuracy and security required to build trust in these new technologies. Lack of trust and accuracy in AI technology may adversely affect the adoption of technology. Collected data by the AI systems is also very sensitive and needs to be protected with high security standards. Global artificial intelligence market in education sector is expected to expand at a CAGR of more than 49.0% to surpass USD 1.8 billion over the forecast period i.e. 2016-2024 owing to rising need for implementation of advanced technology to achieve crucial education objectives, such as enhancing teaching efficiency and effectiveness. Europe accounted for the highest revenue share in artificial intelligence in education sector market in 2016 owing to the growing number of startups in this field. North America region is expected to adopt AI technology in education sector at much lower rate compared to Europe as employees working in U.S education sector spend most of their time on creative task or activities which require high cognitive capabilities. Middle East region accounted for the highest expenditures over education sector to provide innovative and advanced technological methodologies for education. Gulf countries are expected to significantly drive the growth of artificial intelligence in education sector.